NOTE: You will need to take the tram up to the top first to get to this location. Please plan accordingly to take a tram prior to the meeting time. How to get there: Once you take the tram to the top station, you’ll need to take the concrete path down on the other side. Remember, you can ask how to get there once you’re at the upper station. PARKING FEE: $5 cash, or Visa, MasterCard, Discover, American Express. Lot opens at 7am. HIKE WALKTHROUGH: One of the “Three Saints”, San Jacinto Peak is the highest peak of the San Jacinto Mountains and John Muir wrote, “the view is the most sublime spectacle to be found anywhere on this earth!” Located within Mount San Jacinto State Park in Palm Springs. 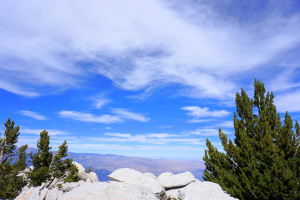 The hike is a semi-strenuous one in which there is an approximate 2,300 feet of vertical gain with a top elevation of 10,834 feet. The trail to the summit begins at The Long Valley Ranger Station. The initial 2 miles of the trail tends to be have a lot of people and traverses a lovely pine forest, passing through Round Valley. After this the hike starts ascending and is a bit more steep, leading to Wellman Divide at which we will likely take a break. After the break we continue north towards the peak and near the summit, we will encounter a small stone cabin. 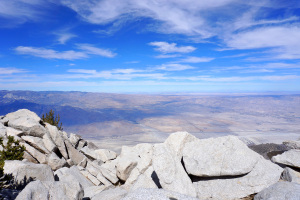 Once reaching the summit from atop San Jacinto Peak, you’ll experience some wonderful views that include inland empire, Palm Desert, the San Bernardino and San Gabriel Mountains.This is the fifth of six southern California summits in what is called the 6-Pack of Peaks bundle. This is a good training for anyone preparing for more advanced hikes such as Mt. Whitney or Half Dome. Each of the 6-Pack is progressively higher in altitude, and all have respectable distance and vertical elevation gain. WATER REQUIRED. WATER CHECK WILL BE PERFORMED. If you do not take enough water or are not appropriately equipped for this hike, you will be turned away from doing this hike with us even if you show up. Please note, that we have expectations for Level 7 hikers. Read all the details. PREREQUISITES: Must have completed a at least a Level 6 or 7 LATH hike prior to this hike. Will need to keep up with the group at all times. REQUIREMENTS: WATER (at least 2 to 3 liters). Comfortable hiking/sports shoes with good grip. Dressed in layers (weather will be 30 degrees cooler at the top). Must be well prepared with nutrition and hydration. 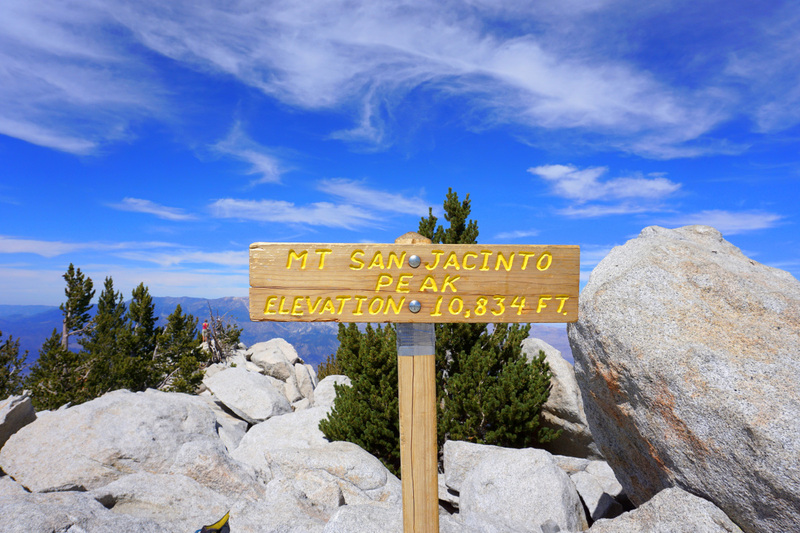 RECOMMENDED: Take some enough snacks & a lunch (trail mix, nuts, granola bars, fruit, etc.) Wear sunscreen, comfortable clothes and shoes. Windbreaker, gloves, beanie, warm jacket in case it is cold and high winds. Trekking poles or hiking stick will help. DOG FRIENDLY: No. Dogs are not allowed on this higher level hike.